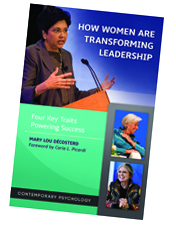 Lead Life Institute's founder, Mary Lou Décosterd is the author of two leadership books and one children's book. A child development product for our leaders of tomorrow. Leaders of all kinds, in all fields, need to be methodical and logical, but also strategic, innovative, and intuitive. 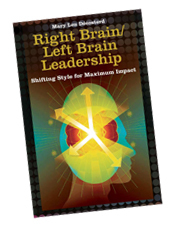 Yet the two different styles require different modes of thinking, or what author Mary Lou Décosterd describes as shifts to right brain, or left brain, thinking. Those who operate in what she explains as the left brain mode develop strong logical, rational, and analytical abilities, but they may downplay the value of right brain thinking, which spurs intuition, subjectivity and creativity. And those who operate primarily in the later mode lose the value of the former. A leader who is habitually a "right-brainer" sees only the big picture rather than its parts, is creative but not usually analytical, and is emotional far more than logical. So who is more effective? Veteran consultant Décosterd shows here how those with maximum success are leaders who understand both styles and have the ability to switch between the two at key moments to broaden their overall effectiveness. In the language of leadership, this pragmatic guide provides an all-encompassing view of how to maximize brain power and get to next-level leadership impact. 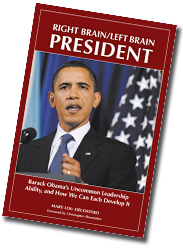 Through case examples, simple assessment and unique learning tools, this book takes the reader through a new process for examining his or her current leadership style and skill sets, and framing a plan for greater success. Décosterd explains how, through use of popular leader exemplars, leadership examples and concise steps and summaries, every person can, at virtually any stage of personal and professional accomplishment, become a more consummate leader.